International Finance Corp (IFC) aims to double the size of its global venture capital portfolio within three years as it steps up the pace of investments, a top executive at the World Bank's private sector investment arm told VCCircle. "The total size of our venture investment portfolio is around $500 million as of date. Our investment pace has increased, so within the next three years we expect to have a $1 billion portfolio," said Nikunj Jinsi, IFC's global head of venture capital. IFC's VC arm invested mostly in the clean-tech sector between 2009 and 2013, and thereafter expanded its mandate to include consumer Internet, healthcare and edu-tech segments. Consumer Internet and clean-tech comprise a significant portion of its portfolio, which has only three healthcare and edu-tech companies each. Jinsi also said that India and China, which make up about 30% each of its portfolio, will remain the focus areas. IFC's VC arm has a ticket size of $5-20 million and it typically comes in during a Series B or Series C round. It makes 12 to 14 direct venture investments and some follow-on deals a year, spending about $150 million annually, Jinsi said. 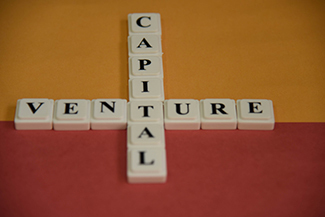 The venture investment arm generally puts money along with co-investors. In India, it has co-invested with Nexus Venture Partners, Helion Venture and Kalaari Capital. The VC arm's portfolio in India include eyewear e-tailer Lenskart Solutions Pvt Ltd and Health Vista India Pvt Ltd, which runs home healthcare company Portea Medical. It also invests in VC funds to make early-stage investments. It made five VC fund investments in the year ending on 30 June and intends to do five globally next year, Jinsi said. IFC's venture arm also provides a platform for technology startups to partner with established companies. It has initiated a TechEmerge programme that offers matchmaking to healthcare-technology startups globally with established Indian healthcare providers including Apollo Hospitals. The mandate is likely to be expanded to other sectors as well including fin-tech. IFC is also looking to invest selectively into accelerators to develop a robust ecosystem for entrepreneurs, Jinsi said, without giving details.